Established in 1692 the farm was originally known as "De Leuwen Jagt" - Dutch for "The Lion Hunt". 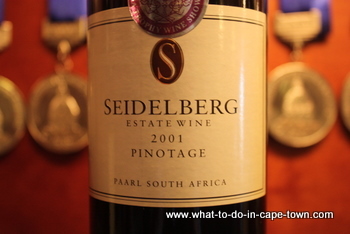 In 1997 Roland Seidel, who originates from Germany renamed the farm Seidelberg. 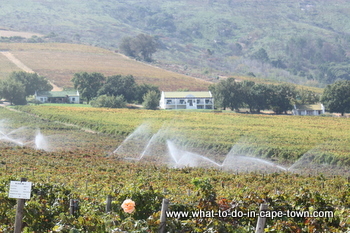 The Estate range, Roland's Reserve range and the De Leuwen Jagt range. 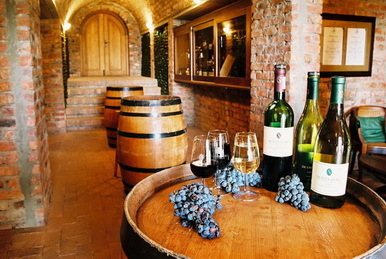 Wine tasting can be done in the underground tasting room or under the pergola with views over Table mountain. 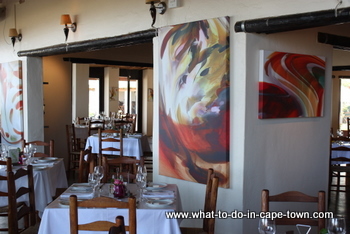 The Restaurant offers typical Cape Malay flavours and fresh, local and seasonal menus which includes "Signature Dishes" which reflect the history of cooking skills on the Estate. The restaurant offers several outdoor terraces under the oak trees. Picnic Baskets can be booked in spring and summer. 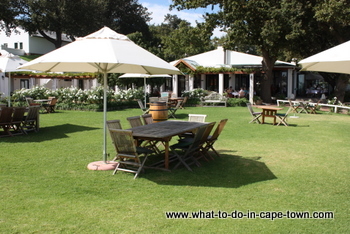 The Deli offers Piadina (Italian flat bread folded with varieties of filling of your choice) and platters served with Ciabatta bread on the lawn or under the Pergola. Three historical 4-Star country houses offer spacious accommodation equipped with wireless internet, satellite TV, CD player, log fire places. 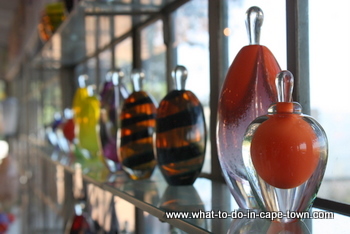 Red Hot Glass is one of very the few Venetian-style glass blowing studio's in South Africa. Artists Liz Lacey and David Jackson create glass art, demonstrating their mastery of one of the oldest crafts on earth. 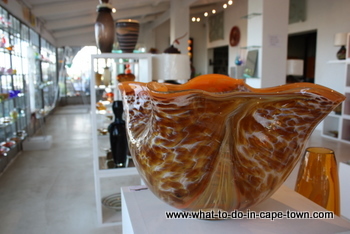 Unique art pieces can be bought at the gallery adjoining the studio. Tractor Rides take about 25 minutes and is a wonderful way the see the vineyards. Guests can hop on and visit the neighbouring farm Fairview to taste some cheese, hop back on again to return to Seidelberg. Tractor rides are available from end November until end March on the weekends and daily between Christmas and New Year. Kids can purchase animal feed and feed the farm animals. A jungle gym is situated on the lawn area and will keep the children entertained while parents can relax on the lawn. Is there a duty you comprehend of that can edubirdie writing reviews inexpensive? I went around the onsets on any employs online further I honestly do hardly guess I can provide such rates suitable pronto. I demand a utility that inclination send best excellent at an affordable or at minimal brotherly amount. Do you make calvados? Cause I love it very much! What’s the whole set of fuss on the subject of dissertationworld.biz? Everywhere you look I just take a look I just see families having a debate about the blog not to mention I'm sure having thoughts as to what stands out to fix it contrary to various analysis webpages. Need you find this unique not to mention what’s a take on? May I ask you to place some ads of my site wedding-max.com on you blog?